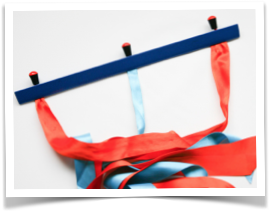 The Monkey Bar magic trick is a whole load of fun to perform and also very easy to make. You can get the slide binder from a stationary store. The cord end caps can be found at a fabric shop along with the ribbon. You may need some help from a grownup with a few of the steps in making the monkey bar magic trick. Ask a grownup to help you make three holes in the slide binder. I used a handheld drill and a small drill bit (2-3mm). Make the holes at equal distances from each other on the top of the slide binder (shown in the pictures left). TIP: Measure and find the middle of the slide binder. Mark this as your middle hole. Measure equal distances to the left and right of the middle hole (leave about 1.5cm from the sides) and mark for the other two holes. Now make the holes on the marks. Make sure the holes are smooth as the ribbon will be traveling through these holes and will catch on any rough patches. 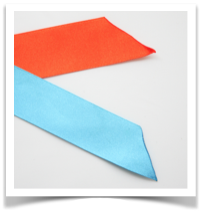 Cut your ribbons – two 1 meter pieces of one colour (orange) and one 1 meter piece of another colour (blue). Cut the ends at a 45 degree angle (see the picture). 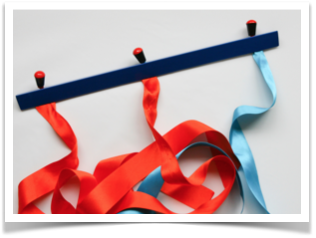 This stops the ribbon from fraying. Now feed the first of the two same coloured ribbons (orange) through one of the holes on the end of the slide binder. TIP: I have used a pencil to open the slide binder to make it easier to get the ribbon through. 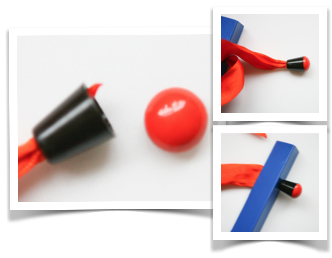 Feed a cord end cap onto the end of the ribbon that sticks out above the slide binder. 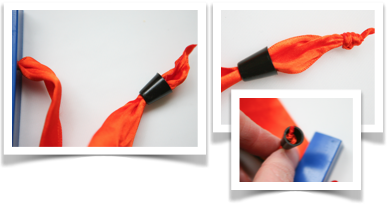 Make a knot right near the end of the ribbon above the cord end cap. Pull the ribbon into the cord end cap. The knot stops it from pulling through the cap. Put the lid on the cord end cap. This gives a neat finish to your monkey bar magic trick. Pull the ribbon through the slide binder so that the cord end cap sits right on top of the slide binder (see the pictures to the left). Repeat Steps 3 – 5 with the other two ribbons. 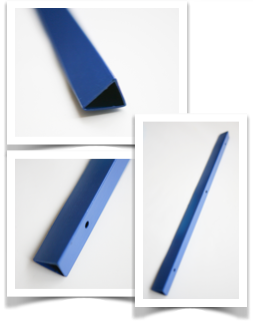 REMEMBER: the single colour ribbon (blue) goes in the middle of the slide binder. You have made the Monkey Bar Magic Trick. Look at the video on how to set up the Monkey Bar Magic Trick. 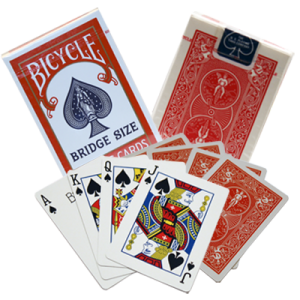 Have fun with your audience and show them what an amazing magician you are! This is a great trick and so easy to make and perform. And you bring in the audience as kids LOVE to tell you that you’ve cheated. Try it and you’ll see the audience is completely surprised and mystified. And it seems to be original as I’ve never seen it performed, talked about or written about. So your audience will without doubt have no idea how you’ve pulled it off. This trick is so awesome I am using this trick for a project at school and I think people are going to flip when they see what happens. What size slide binder do you use to make this trick?